Under the Fair Credit Reporting Act, the longest a bankruptcy can stay on someone’s credit report is 10 years. Typically, the policies of credit agencies such as TransUnion and Experian state that people who file under Chapter 7 will have a flag on their report for 10 years; those who file under Chapter 13 will have a flag for seven. The credit rating agencies have voluntarily decided to treat Chapter 13 cases differently because it typically involves the repayment of some debt, while Chapter 7 does not. Although 7 or 10 years sounds like an awfully long time to have a bankruptcy follow you around, your credit score will likely improve more quickly. In fact, research shows that most people who declare bankruptcy actually see their credit scores rise substantially over the months following their discharge. Since many debtors’ typical scores are so low when they file, taking positive action to wipe out debt often outweighs the negative effect of the bankruptcy. To illustrate the point, a recent analysis of credit files shows how scores change before and after bankruptcy. In the months prior to filing, as consumers fall deeper into debt, the average credit score plunges to around 520-530. However, after filing, scores typically recover sharply over the next 6 months, and gradually increase thereafter. In cases where a filer loses ground on a ‘good credit score’ after filing bankruptcy (typically a 200 point reduction on a score of 700 for example), they will likely see an increase after the debt is discharged allowing them to get back on track sooner than later also. 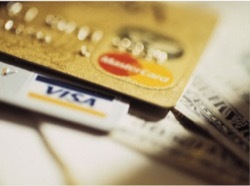 Of course, there are steps you can take to rehabilitate your credit after a bankruptcy. Being proactive is key. Be sure to make sure that the bankruptcy has been reported accurately. Get a copy of your credit reports, preferably from all the top agencies, to ensure that all the debts that were part of the bankruptcy filing are marked as discharged and with a zero balance. To get your credit score moving in the right direction, consider getting a secured line of credit such as a secured credit card or credit builder loan and rebuild your credit history by making on-time payments and keeping your debt to a minimum. Finally, you will want to make sure that the bankruptcy and any items related to it are removed from your credit reports as soon as you hit that 10-year or 7-year mark. If you have questions regarding bankruptcy protection and credit repair after bankruptcy, contact Peoria Illinois Bankruptcy Attorney Charles E. Covey for answers at 309-674-8125.